Jennifer Aniston, Gwyneth Paltrow, Kate Hudson, Lady Gaga and David Beckham – want to take a guess at what they all have in common? They’ve all sung the praises of yoga as part of their regular fitness routine or helping them with aches and pains. Gone are the days of yoga’s cross legged tree hugging hippie image with yoga a top google search in 2019 and a yoga mat slung over a shoulder now common sight in the city. With Goldman Sachs Chief Executive David Solomon and Delhi High Court judges enjoying its benefits, yoga has become a whole lot more mainstream. The increase in yoga in the UK follows its rapid rise in the US. Like so many new trends, young people have blazed the trail with the rest of us on their heels. The answer to whether yoga’s boom is a passing phase or here to stay lies in its wider emotional and mental rather than purely physical benefits. In today’s hurried overloaded world where stress and pressure are the norm, yoga has become an enticing escape to awaken the spirit and quieten the mind. 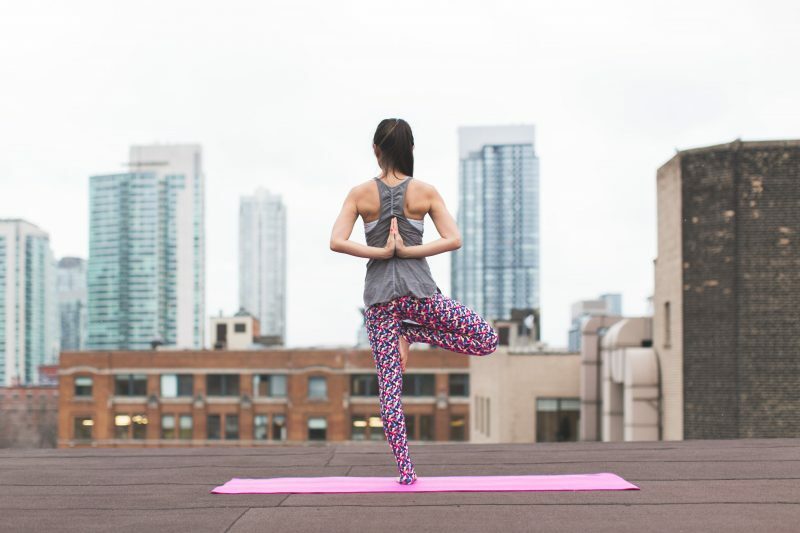 Even workplaces are now offering yoga as part of their drive to improve employee wellbeing and reduce rising sickness absence costs (especially as two of the main causes of sickness absence, stress and back problems, are often longer term and costly). With the Health and Safety Executive reporting 15.4 million days lost due to stress, anxiety and depression and 6.6 million due to musculoskeletal disorders in the 2017/2018 period, it’s not surprising that office yoga is rapidly gaining interest with UK employers. If progressive employers such as Nike, Apple and Google can offer yoga at work, maybe it’s worth suggesting it to your HR department too! I’ll admit that my introduction to yoga at age 21 wasn’t love at first sight. Favouring running, skiing and more active sports, much as I wanted to like yoga, I felt a quiet discomfort with its slower pace. Ironically this was probably exactly what I needed to balance my naturally busy nature. Over the years yoga’s steady humble presence grew on me becoming my go-to regular stretch routine. With today’s young people drinking less, exercising more and more aware of their emotional and mental health it’s not surprising they’re choosing yoga for their wellbeing needs. If you read last month’s blog post you’ll know that I recently embarked on a Yoga Teacher Training course. Working with clients on career & performance and health & wellbeing, the most common problems I help with include stress, anxiety and sleep. Client after client I send off to give yoga a try. Surprising myself here, I’ve found I’m more drawn to the longer, deeper stretches of Yin Yoga rather than the more physically faster and demanding power yoga. Yoga is good for the core too! Whilst you won’t get through a single Pilates class without being told to zip up your core, the same is often not the case with yoga where you’re more likely to be cued for your breath and feet position. As safe and stable postures require engagement of your deep abdominal muscles, it’s a fact: yoga is good for your core. Improving yoga takes practice, practice and more practice. As with cooking, you can read as many recipe books as you like but to become a better cook, you’ve got to get cooking and keep cooking. Today I’m asking for a little help from you. Yes you! We’ve all been to classes we love and classes we don’t. Whilst I have my own thoughts on how yoga could fit with my current wellbeing offerings, most of all, I’d really like to hear from you. I’ve put together a short survey to get a deep insight into what people want so please also share with friends, family, colleagues, neighbours and anyone else who might have a view. Be sure to look out for next month’s newsletter where I’ll share my survey results.